Who are the Giriama People in Kenya? The Giriama (also called Giryama) are one of the nine ethnic groups that make up the Mijikenda (which literally translates to "nine towns"). 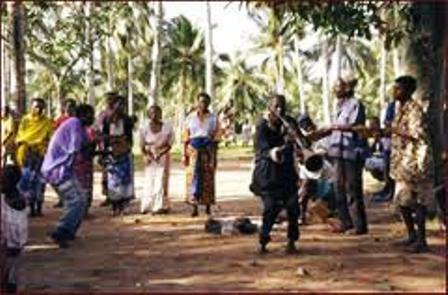 The Mijikenda occupy the coastal strip extending from Lamu in the north to the Kenya/Tanzania border in the south, and approximately 30 km inland. The Giriama are among the largest of these ethnic groups. They inhabit the area bordered by the coastal cities of Mombasa and Malindi, and the inland towns or Mariakani and Kaloleni. 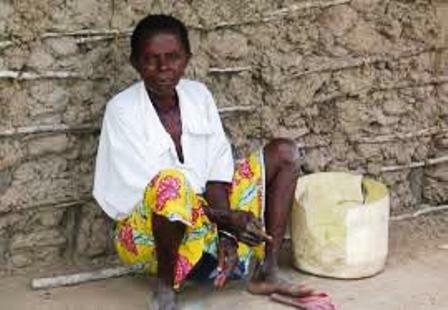 Their language is called Kigiriama, or Kigiryama, and is a sub-language to the Kimijikenda. 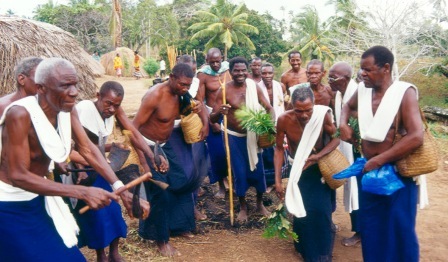 The nine Mijikenda groups speak closely related languages, all types of Bantu language, which is the same group to which the more widely known Swahili belongs. The Giriama grow crops to sell and partake in subsistence agriculture. They live in Makuti thatched houses. The Giriama were originally traditionalist, believing in idols, called the Koma. The koma was a curves piece of wood, and the eldest of them that have already gone before them was represented with a bigger piece of wood called the Kigango. They used to sacrifice at the Koma, nearly on weekly basis. Sacrifices included Alcohol (the tradiational Mnazi) which is palm wine. When trouble befalls a family, they would sometime go to sacrifice by the koma side, sometimes porridge and blood would be used. The Giriama however, are now largely migrating from these believes and majorities have become Christians, with some few becoming Muslims but they also believed in witchcraft. Mekatilili Wa Menza was a Kenyan woman leader, who led the Giriama people in a rebellion against the British Colonial Administration and policies actively in 1913 - 1914. The Giriama people are a subgroup of nine groups who inhabit the Kenyan coast;they had sacred dwelling places called Kayas, located in forested areas, one of which the British Colonial Administration destroyed by dynamiting it in 1914. This was Kaya Fungo. Mekatilili (or Makatilili) was captured by the British and exiled to Mumias in Western Province of Kenya. According to British colonial records, five years later, she returned to her native area where she continued to oppose the imposition of Colonial policies and ordinances. 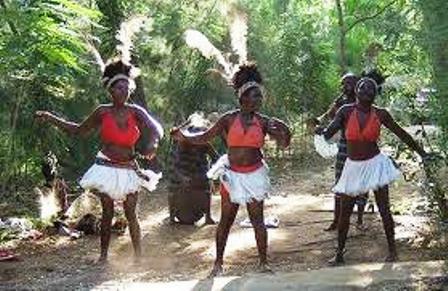 Mwanzele is a dance style originally performed during funerals by the Mijikenda tribe of the Coast Province of Kenya. Popular artists have recorded a number of popular songs using this style of music, the most famous being the late Bini Ya Mama together with his wife. He hailed from Bate village in Dagamra. Bin Hare is another popular Mwanzele performer; he and Nyerere wa Konde both hail from the Malindi region of the coastal province and Kilifi District. I promise to use it only to send you My Travel Newsletter. Garam Masala Appetizers are originally Indian food but of recent, many Kenyans use it. Therefore, on this site, we will guide you on how to make it easily. 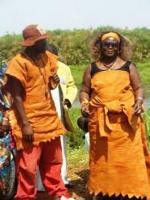 The Baruuli-Banyala are a people of Central Uganda who generally live near the Nile River-Lake Kyoga basin. Copyright © 2009-2014 GoVisitKenya ALL RIGHTS RESERVED.